Page Vault is an archiving software that allows lawyers to make legal-grade captures of webpage content (socialmedia posts, websites, etc. "Collects webpages and social media, clear output, easy to use, helpful support"
Works on webpages, Facebook, Instagram & other social media. Their browser software creates PDFs that look right, and I like that we can get affidavits when needed. Their Facebook expander grabs entire FB timelines and saves a lot of time. I've contacted their support team a couple of times when I had questions, and they responded very quickly. We've also requested on-demand services to collect webpages and Facebook pages for us when we're swamped or have large projects. That process was pretty easy to use too. No major problems. Even more automations would be nice. Maybe replicate their Facebook expander for other platforms too? If you need to capture something from the web, they do a good job. If you want a full eDisovery solution like Relativity, that's not what they do. I'm trying to get an accurate preservation of a webpage or social media page. This is usually Facebook or some other website with text and images we need. Nice that they also collect and provide the metadata the attorneys need, and nice that they can provide affidavits. We also use their on-demand service when we're extremely busy. They responded very quickly when I emailed a question - Wes on their support team is great! "Great for making PDFs of Facebook"
Easy way to make PDF copies of webpages. Their browser works just like any other that I use, so I just go to the page I want and click a button to capture the page. We need copies of a lot of Facebook profiles, and their software automatically gets to the bottom of a timeline and opens all of the comments. The PDFs look really clean when we print them. We also have multiple people who use the software within the firm, and there's an administrator account to create new user names. No major complaints on the software. For really long Facebook profiles, the software takes some time to complete, but I just work on other things while it is opening the comments and making the PDF. Good solution if you need PDF copies of webpages and social media. Nice that they focus on helping law firms. Need to make copies of webpages for legal cases. The PDF copies look good and are easy to create. What Social Discovery solution do you use? Preserves a clean version of a website even when printing the site results in a distorted image. Excellent for legal preservation. I wish there was a Chrome extension so that it was a little easier to make a preservation. Reservations for litigation. Makes cleaner preservations than simply printing the website. X1 Social Discovery provides legally defensible collections of social media, web pages, and web content into a single interface for a case-centric workflow from search through production. Navigator combs the web in pursuit of potential threats to your corporate security. Posts from open sources, like social media, forums, and the deep and dark web are analyzed and monitored in real-time so your team is always in the know. Hanzo allows people to capture and preserve team messaging data, social media engagement, and interactive web content then replicate it in legally-defensible native format for analysis and review. Media Sonar helps the world's largest organizations gather and analyze online alternative data to better protect their people, brands and assets, everyday. * We monitor all Page Vault reviews to prevent fraudulent reviews and keep review quality high. We do not post reviews by company employees or direct competitors. Validated reviews require the user to submit a screenshot of the product containing their user ID, in order to verify a user is an actual user of the product. Hi there! 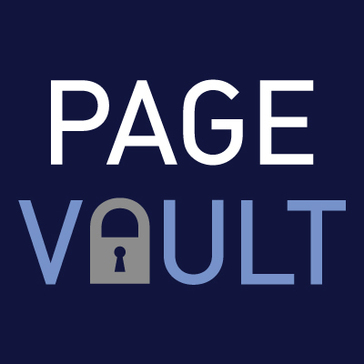 Are you looking to implement a solution like Page Vault?